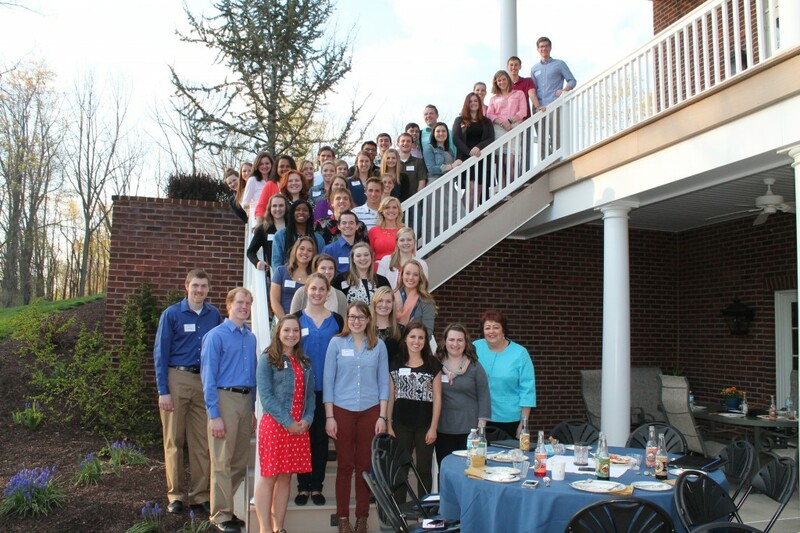 Ambassadors at Orchard Hill dinner with President Phipps. As you probably remember from your senior year, May 1 is the big “decision day” when it comes to letting colleges know your enrollment plans. Thanks to all of your work for making this May 1 an exciting day for Messiah College enrollment! As of May 1, we have secured 676 first-year deposits and our year-end first-year student projection range for Fall 2015 is 705-716. The college budget was set at bringing in 675 students. Again, THANK YOU for your work!!! A HUGE thank-you to Juliana Frederick for serving as the President of the Ambassador Program for the past two academic years! Juliana, you will be missed, and we thank you for all of the time and energy you invest into this program during your four years at Messiah. Looking forward to next year, we are excited that Eric Moore has accepted the position of President, and Eileen Barker will be serving as the Vice President. Eric will be starting this role immediately and will be working in Admissions over the summer months, and both Eric and Eileen will be working in the Admissions Office during the 2015-2016 academic year. We look forward to the leadership they will bring to this program. If you were not able to make it to the dinner at Orchard Hill last week, please come by the Admissions Office to pick-up your year-end gift. Returning members – mark your calendars! Our Fall 2015 training day will be on Monday, August 31. This is the day before classes begin, and lunch will be provided. While some information will be similar to last year, we are restructuring a few parts of the day to make it more interactive and engaging. We’ll look forward to beginning a new recruitment cycle with you all! THANK YOU for your service to Messiah College through the Ambassador program. We have loved working with each of you and getting to know you during your time in the Ambassador program. We wish you all the best as you leave Messiah – 11 days until GRADUATION! Do you have an awesome internship this summer? If so, we want to know about it! Send us an email at ambassadors@messiah.edu.